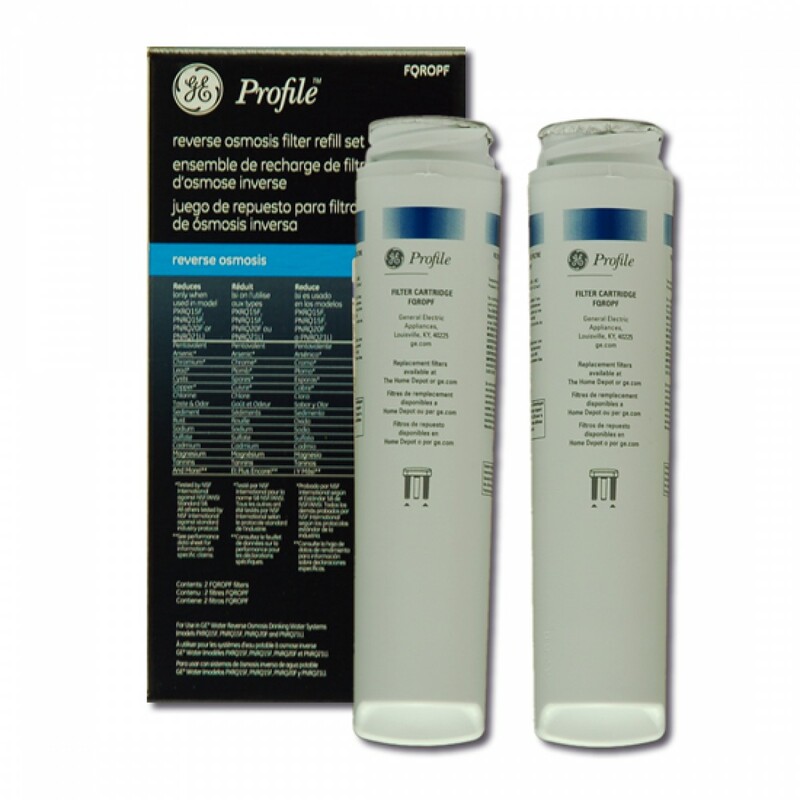 A genuine OE part, made in the USA, the GE FQROPF reverse osmosis filter set ensures you serve the cleanest tasting water for up to six months after a quick and easy installation. Reduces up to 99% of common impurities, ranging from asbestos to chlorine, before they negatively impact the flavor and quality of your drinking water. Comes complete with a pre and post filter. Order the GE FQROPF reverse osmosis filter set online today.